Everyone loves brunch. It means you can enjoy a delicious breakfast, without having to drag yourself out of bed early in the morning; it’s the best of both worlds! The main thing you have to decide is where to go. 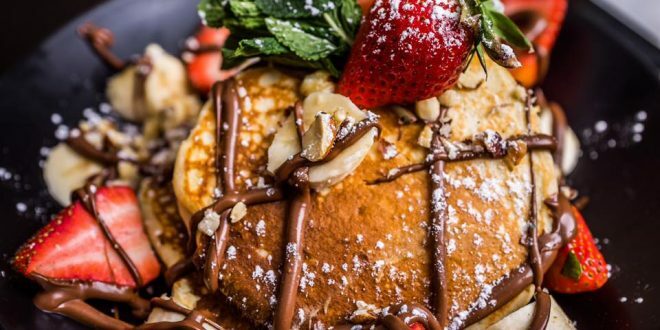 That’s why we’ve put together a handy guide to all the best brunch spots in Liverpool, so you can try them all! Brunch is breakfast with a lie in and that’s why we love it. Maray is an all time favourite in Liverpool, serving delicious small plates, expertly crafted cocktails, tasty Sunday Roasts and one of the best brunch menus in Liverpool. 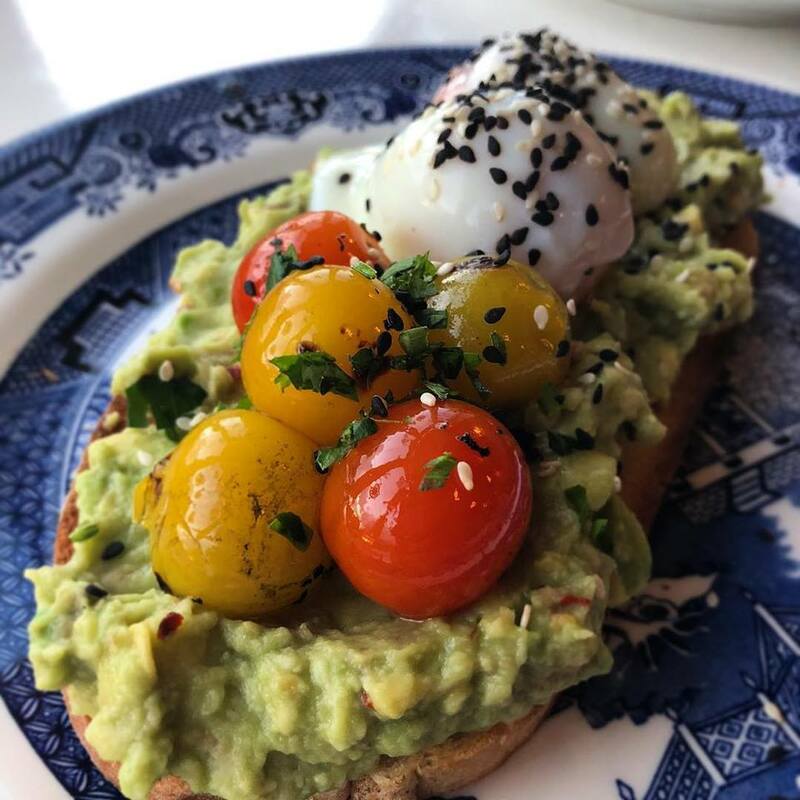 Try anything from their mouth watering smashed avocado with garlic, lime and chilli served on a toasted bloomer with slow roasted tomato, slow poached eggs and za’atar. To the show stopping buttermilk fried chicken with slow poached eggs, house hot sauce, maple syrup and hollandaise on toasted brioche. Or, if you’d like to try the chef’s favourite brunch dish, go for the shakshuka. A delicious combination of eggs baked in rich tomato sauce with feta, mint, yogurt and a toasted bloomer, it’s as amazing as it sounds. Sadly, only the Allerton restaurant offers brunch, but it’s well worth the trip. You can tell by their name that The Brunch Club are masters of the late breakfast. With an extensive brunch menu that is served until 5pm everyday, it’s the perfect destination for those who love a lie in. 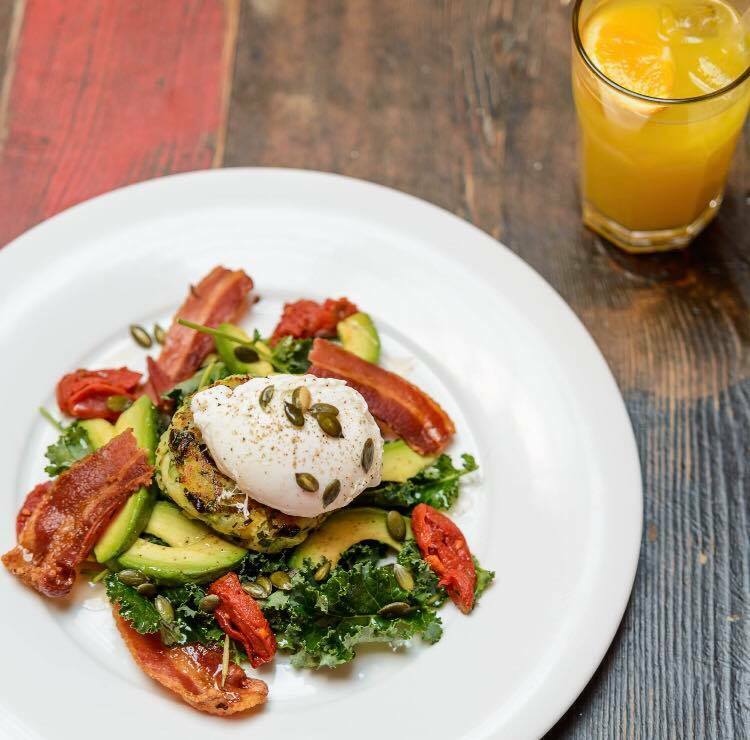 Indulge in a classic full English, vegetarian or vegan breakfast if you want to play it safe, but if you’re feeling adventurous the menu offers some tasty brunch dishes that are a bit more unusual. Why not try the North African baked Eggs with cucumber and mint yogurt, or the delicious cinnamon French toast with creme fraiche and fresh fruit. Inside, the Brunch Club is delightfully decorated to ease you into the day ahead. It’s one of our favourite brunch spots in Liverpool. At Filter + Fox they know that breakfast is the most important meal of the day, so they serve it all day. If you’re looking for somewhere that keeps it simple, this quirky hideout is the ideal destination for you. Choose from banana bread topped with berry creme fraiche, almonds and honey, or for something a little healthier you could try the bircher muesli served with seasonal fruit, hazelnuts, honey and agave. Filter + Fox know how to treat us with their brunch menu, and you could even get one of their yummy cocktails on the side. Searching for the brunch to end all brunches? 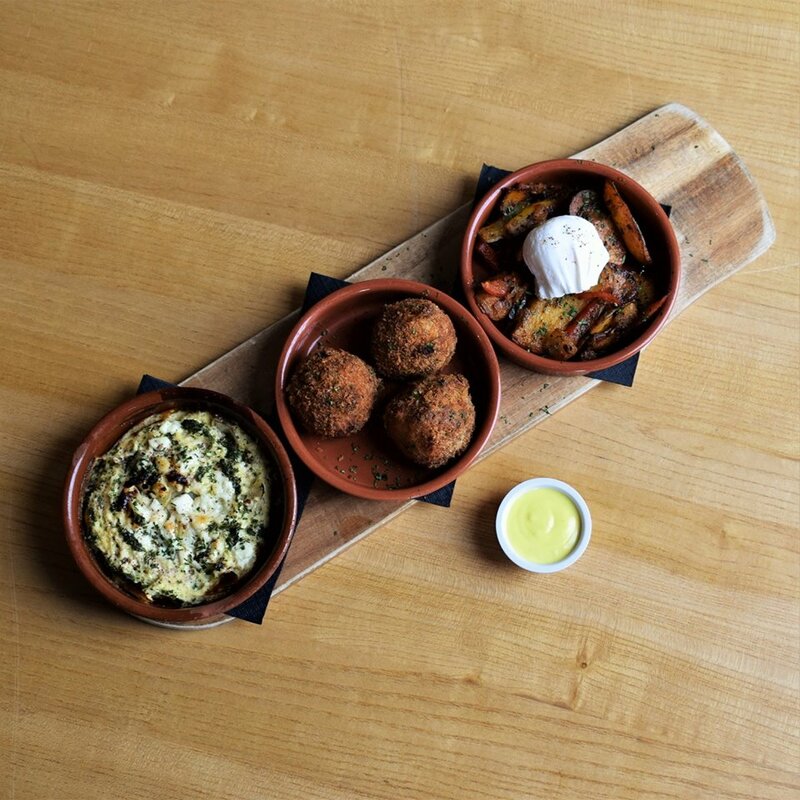 Look no further than East Avenue Bakehouse’s mouth watering menu. Not only do they serve all the classic breakfast options including Bakehouse Benny’s, porridge with a choice of tasty toppings and an amazing breakfast bread board. They also offer a brunch platter where you’ll find a delicious selection of fresh croissants, sausages, bacon, poached eggs, cheese, toast, yogurt and granola, you know, because it’s healthy. All of that is served with freshly squeezed orange juice, or if you want to make it a boozy brunch, enjoy a glass of fizz or a bloody Mary. 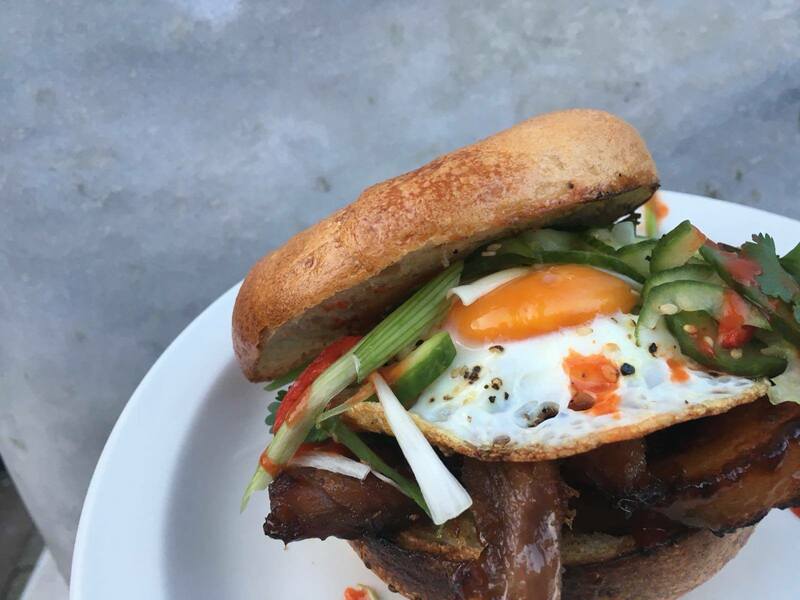 A firm favourite on the Bold Street foodie scene, we can’t get enough of brunch at East Avenue Bakehouse. Having won the best breakfast in the UK award twice, it’s safe to say that The Tavern Co is possibly the best brunch spot in Liverpool. Featuring an American inspired menu, the Tavern Co offer everything from a full English to an American twist on the classic with bacon, baked beans, home fries, fried eggs, toast and pancakes with Bobby’s syrup. 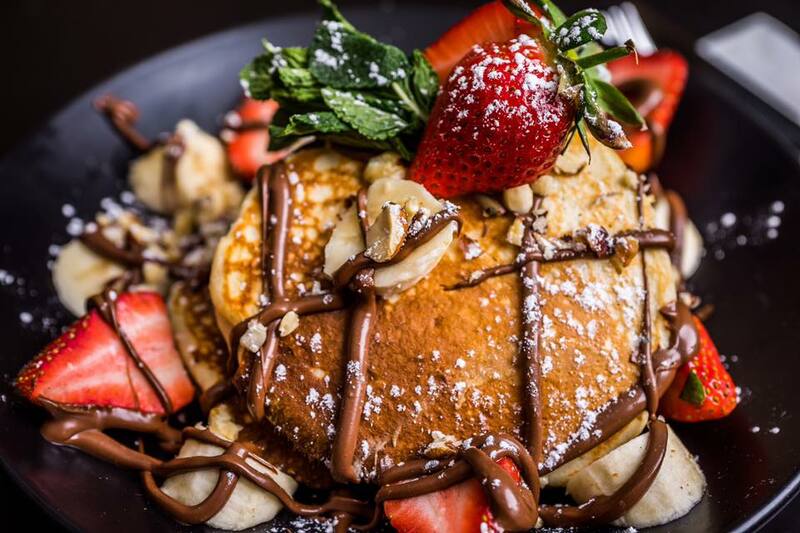 They also have a huge selection of stacked pancakes, topped with Nutella, strawberries, Oreo cookies, bananas and of course lots of American style syrup. For the ultimate brunch, get down to the Tavern Co, but don’t forget to book if you’re planning on going at the weekend or you won’t get a table. Leaf, the city’s premier tea emporium, are just as enthusiastic about brunch as they are about tea. As well as offering the classics, this comfy cafe also have a small plate section of their menu for those who just can’t choose one dish. You can have leek, feta and sumac frittata, with smoked salmon, roast beetroot and scrambled eggs, plus huevos rotos or maybe black pudding, ham hock and mustard croquet. 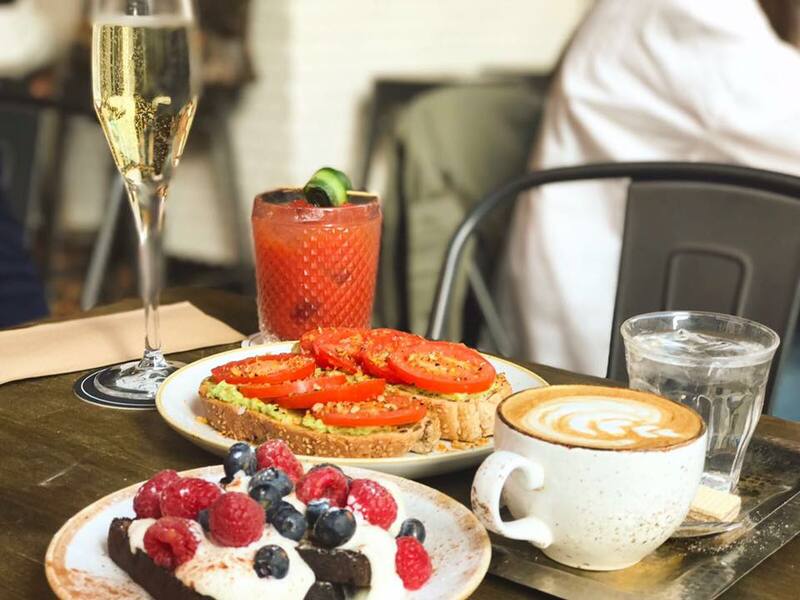 The perfect place for a relaxing brunch any day of the week, Leaf is one of the top brunch spots in Liverpool. Next in our list of the best brunch spots in Liverpool is a hidden gem, a little walk from the centre of town. A cosy coffee lounge with a difference, Barley and Beans are the masters of the stacked pancake and the freak shake. The pancakes are stacked skyscraper high and covered in cascading slices of banana, strawberries and lashings of good old Nutella. Don’t forget, the strawberries and banana count towards your five a day. If you haven’t really got a sweet tooth, they also do an amazing vegetarian breakfast featuring grilled halloumi, buttered spinach, grilled tomato, hash browns, baked beans and toast. This Lark Lane Cafe is a firm favourite with veggies and vegans looking for a hearty fry up. The Greenday’s breakfast comes with two vegetarian sausages, a fried egg, potato cake, fried tomato, mushrooms, baked beans and sourdough toast. It’s without a doubt one of the best veggie breakfasts in Liverpool and the cute cafe really makes you feel at home. They even do a vegan breakfast that features a really delicious spicy tofu scramble instead of egg. Always offering brilliant customer service and a glorious relaxed atmosphere, Greenday’s cafe is a highlight in our guide to the best brunch spots in Liverpool. The Bagelry recently filled the bagel-shaped void in Liverpool’s life, and we all know that nothing beats a bagel for brunch. There is the breakfast bagel, bursting with beef tomato, portabello mushroom, free rang poached egg, organic cheddar cheese and sauerkraut. Or, the very tasty sunny side bagel with baked beans, which is a bagel split in two with an egg fried in each hole. If you don’t really fancy a bagel, firstly what are doing in the Bagelry, but secondly they do savoury French toast which is to die for. Mouth watering herb and spice battered brioche is filled with cheese and served with homemade chilli ketchup. Liverpool’s original breakfast joint, Moose Coffee is still just as hard to grab a seat for brunch at the weekend as it ever was. 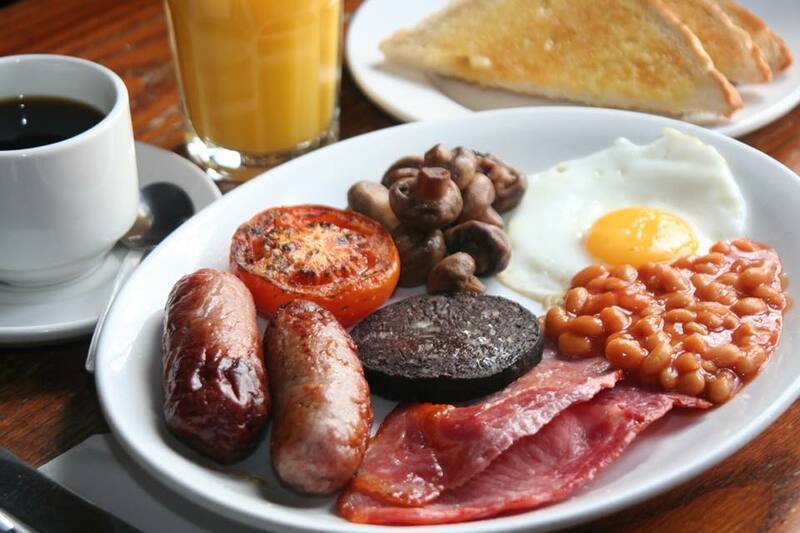 This is mainly to do with their amazing breakfast menu that offers everything you could ever dream of. For the traditionalists there’s everything from the mighty moose breakfast, to the moose eggs Benedict, waffles and pancakes. But if you’re a little adventurous, try the Moose Rich Grits, corn maize mixed with milk, butter, garlic, cheese and seasoning, topped with two fried eggs and a grilled tomato. It’s a real taste of the mid-west. Moose also have a brunch dish called the ‘Covfefe’ (Dope on Pennsylvania Ave), which claims to be the best egg white omelette in the world. But this could be fake news. If you’re not sure whether to order it, know that 50p of every dish sold will be donated to international aid and child refugee charities, so it’s worth it. A little cafe hidden away on Old Haymarket, Lovelock’s is a quirky independent coffee house owned by a woman who is very passionate about brunch. 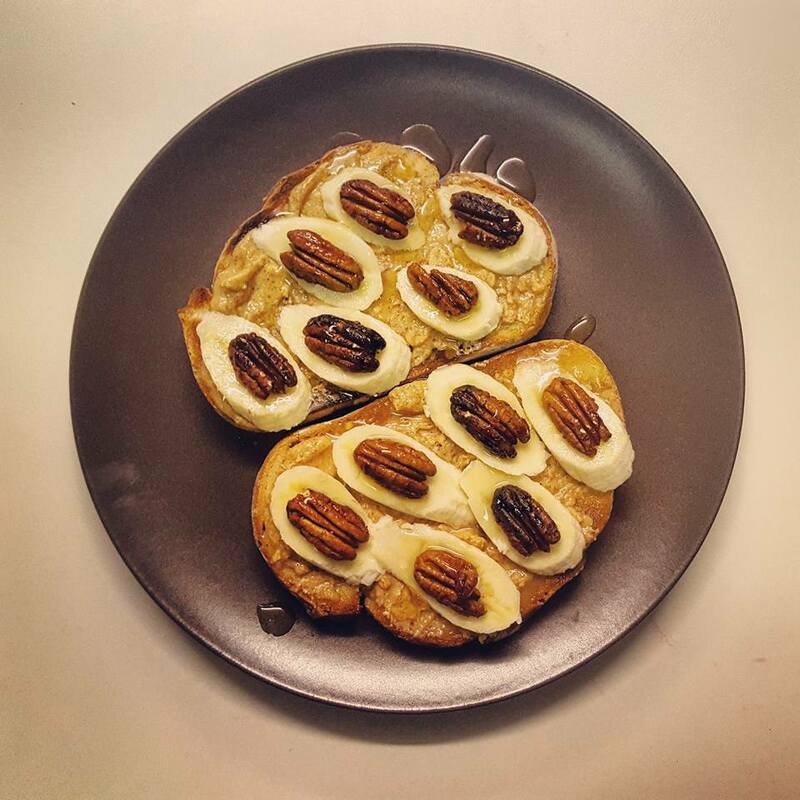 Lovelock’s speciality is their delicious porridge and granola, topped with a range of tasty treats including spiced apple, honey, agave, caramelised pecans and berries. 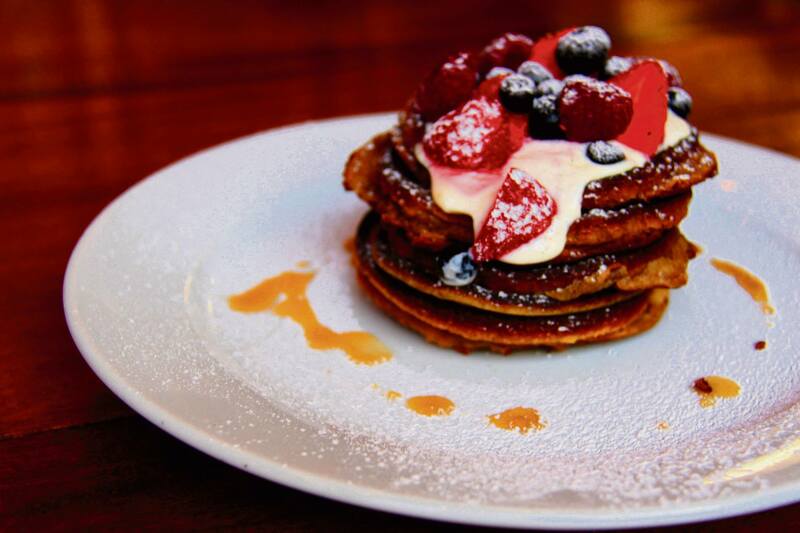 If you’re looking for somewhere that offers a healthier brunch, Lovelock’s is the place for you. Plus, if you have a pet, the cafe is pet friendly, so they won’t have to sit outside whilst you enjoy your food. 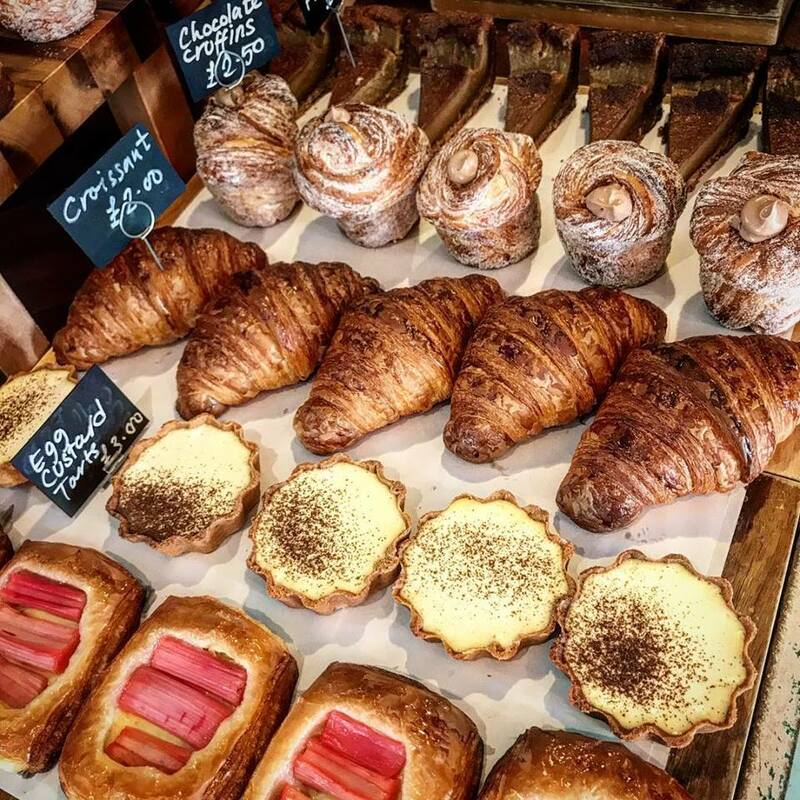 Baltic Bakehouse is a fabulous hidden gem in the Baltic Triangle area, famous for it’s freshly baked artisan bread, stunning pastries and yummy cakes. 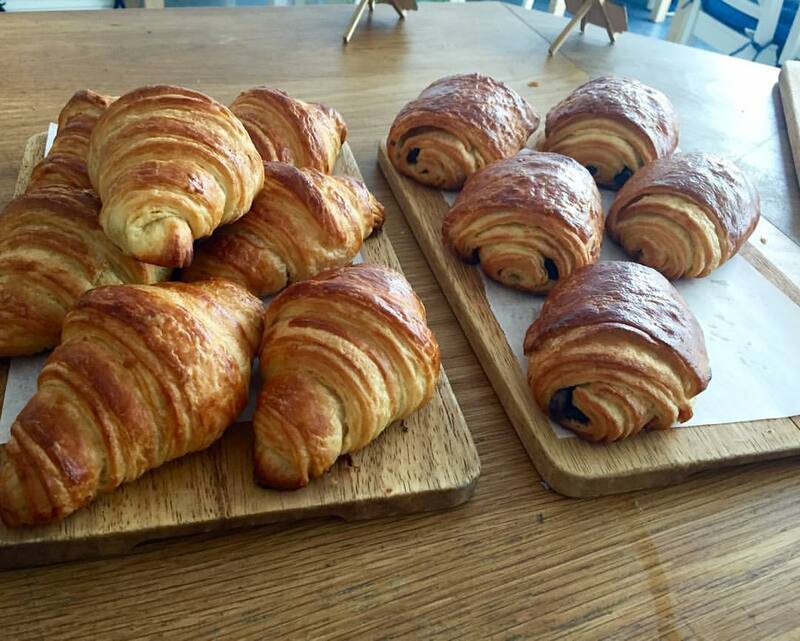 One of our favourite brunch spots in Liverpool, this bakery is perfect for those who love a croissant or two. Everyday, the talented team at the Bakehouse make a range of fresh breads and pastry, that are the ideal way to start your day. Choose from the delicious lemon curd and candied orange peel, peanut butter cup cruffin, to tasty pain au chocolat and upside down caramel buns. If you’re looking for traditional brunch spots in Liverpool, head to the Cosy Club in Liverpool One. Try the Cosy Club breakfast, which features grilled smoked back bacon, Gloucester Old Spot sausage, field mushroom, grilled tomato, fried potatoes, baked beans and fried or poached egg with toast. Or, if you’re feeling fancy, why not try How the Other Half Brunch, a delicious lobster tail with creamed scrambled eggs, fire-roasted tomatoes and spinach on toasted Puccia bread. With a unique interior and lots of cushions everywhere, it’s the ideal place to enjoy a lazy brunch in the city. Renowned as being the best bar in Liverpool, what you may not know is Alma de Cuba serve one of the best brunches in Liverpool. A delicious Cuban twist on the British brunch, Alma’s breakfast menu is served daily and is available until 2pm on Sundays. 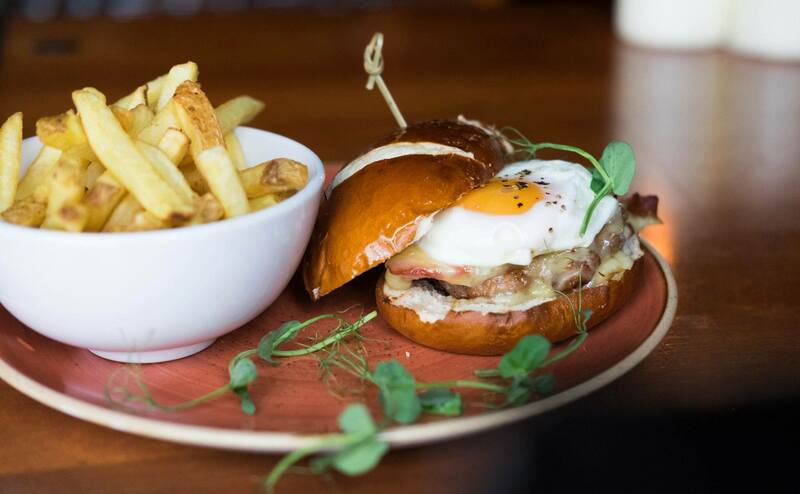 One of the most popular choices on the menu is the breakfast burger, featuring pork pate with crisp smoked bacon, sliced Monty Jack and a fried egg, served with skinny fries. They also specialise in Southern American inspired cornbread, which is a delicious alternative to toast. Set in the stunning former church which maintains many original features, Alma de Cuba is one of our favourite brunch spots in Liverpool. 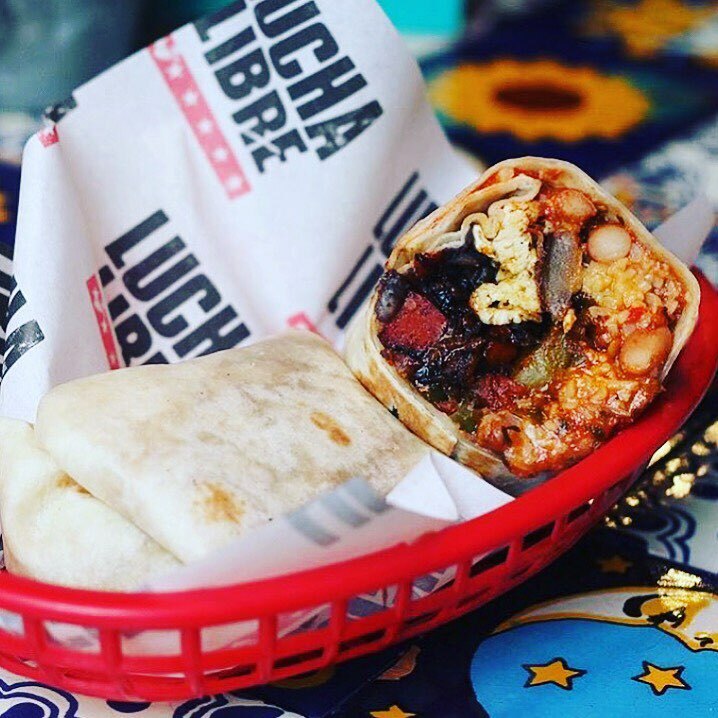 Lucha Libre puts a Mexican twist on their brunch and it’s amazing! Served everyday until 2pm, the brunch menu includes some delicious breakfast options such as the full Mexican which is spiced scrambled eggs, chorizo and potato hash, sausage patty, streaky maple bacon, mushrooms, Mexican beans and avocado served with toast. If you like something a little spicy, try their smashed avocado with poached eggs, chopped chilli and Valentina hot sauce on sourdough, it’s delicious. They also do a breakfast burrito which is perfect for a treat. 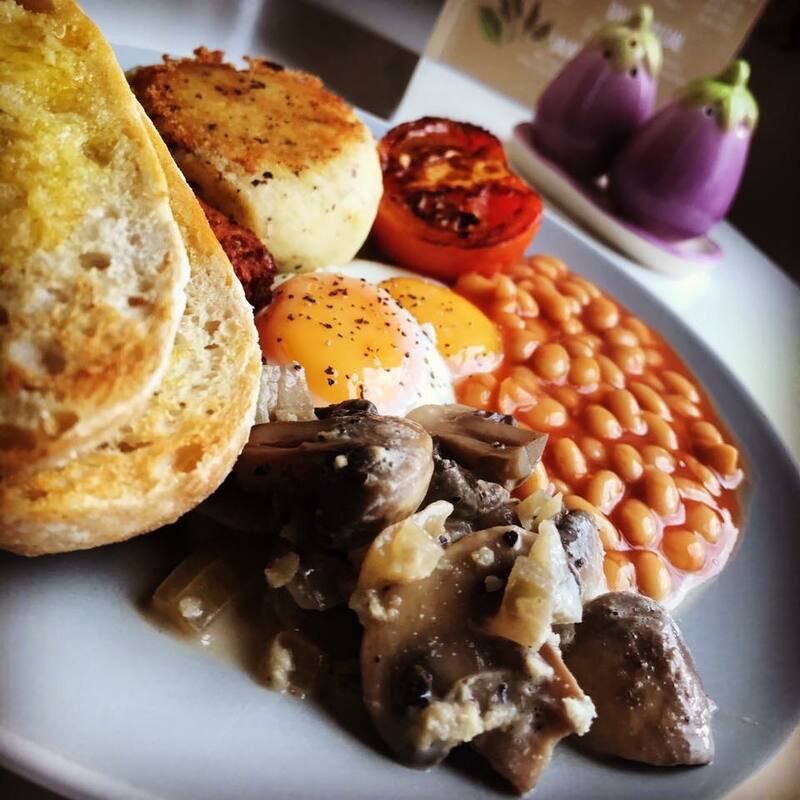 Ma’s breakfast brunch menu has become famous in Liverpool, mainly because of their heavenly traditional veggie breakfast. 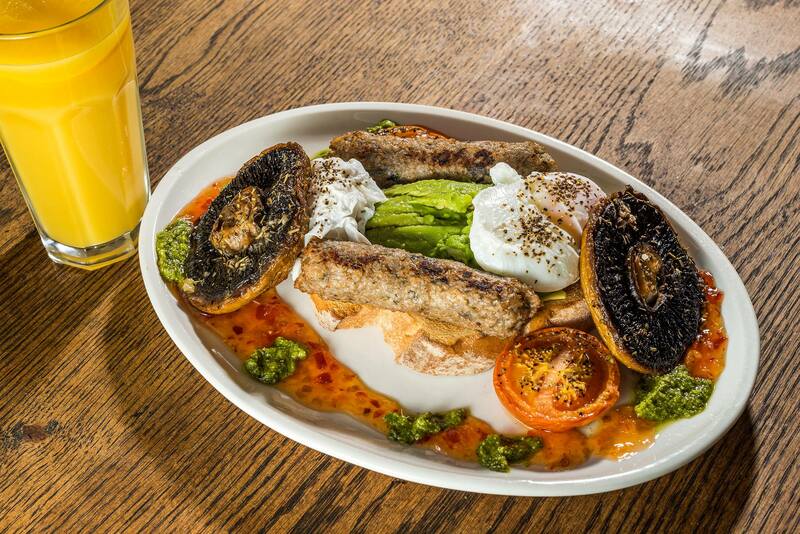 Featuring two homemade veggie sausages, poached eggs, portabello mushroom, grilled tomato, smashed avocado and toast with a pesto and sweet chilli dressing, it’s one of the best in the city. However, if vegetarian breakfasts aren’t your thing, there’s also the Ma’s breakfast burrito, stuffed with Huevos Rancheros with mixed peppers, potato, onions and chillies, wrapped in a toasted tortilla and served with sour cream. Last in our list of the best brunch spots in Liverpool is a popular favourite. 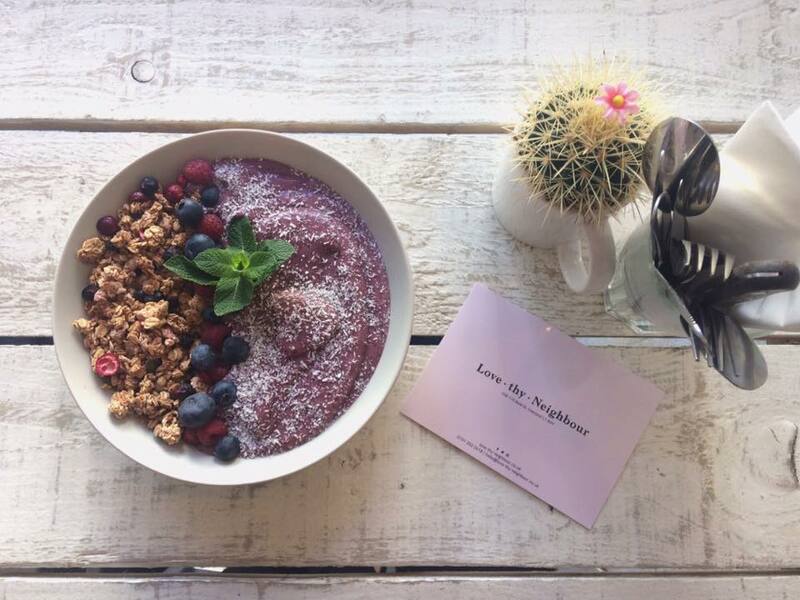 Love Thy Neighbour offers diners healthy brunch options including granola, smoothie bowls and delicious fluffy pancakes served with low fat yogurt. The Smoothie Bowls includes delicious combinations of fruit, served with a side of granola and garnished with fresh berries, coconut and chai seeds, the ideal way to start your day. 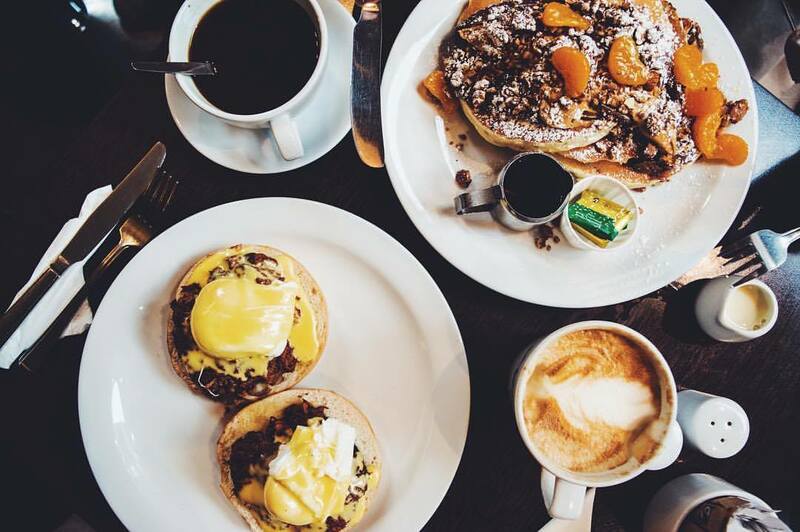 We hope you’ve enjoyed our guide to the best brunch spots in Liverpool. If you love exploring the city, check out our 2018 Bucket List of the best things to do in Liverpool.